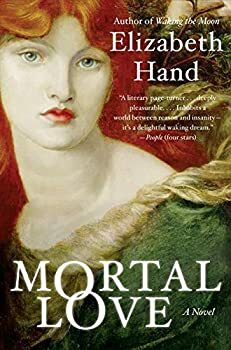 Elizabeth Hand has won two World Fantasy Awards and one Nebula Award. She also writes science fiction, thrillers, and movie novelizations. Learn more at Elizabeth Hand’s website. Cass Neary — (2007-2016) Young adult. Publisher: Cass Neary made her name in the 1970s as a photographer embedded in the burgeoning punk movement in New York City. Her pictures of the musicians and hangers on, the infamous, the damned, and the dead, got her into art galleries and a book deal. But 30 years later she is adrift, on her waydown, and almost out. Then an old acquaintance sends her on a mercy gig to interview a famously reclusive photographer who lives on an island in Maine. When she arrives Downeast, Cass stumbles across a decades-old mystery that is still claiming victims, and into one final shot at redemption. 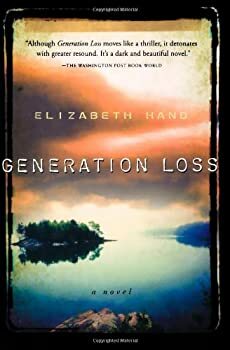 Some books simply ensnare you in the first few chapters, and that’s what happened to me when I picked up Generation Loss. First is our protagonist, someone who, in the hands of a different writer, would be painted as pathetic and pitiful. Yet she's compelling and one easily falls in love with her despite all her faults — the rebellious girl you know you should avoid but can't help feeling attracted to. I'm on either my third or fourth copy of Waking the Moon, I can't remember which. I first read it eleven years ago, loaned it to everyone I thought might be remotely interested, sometimes didn't get it back, and never felt quite right when I didn't have it on my shelf. This is one of my Desert Island Books. The plot revolves around Sweeney Cassidy, an insecure college freshman who goes wild in her first semester away from home. She skips classes, stays out all night, and drinks staggering amounts of alcohol. Into this haze come the ethereal, effeminate Oliver and the seductive queen-bee Angelica, who become her best friends, and with both of whom Sweeney falls in love. Elizabeth Hand, who famously dealt with the Mother Goddess myth in Waking the Moon and the cult of Dionysus in Black Light, here tackles the subject of the fatal muse: the White Goddess, the lhiannan-sidhe, the Belle Dame Sans Merci. Mortal Lovedrifts back and forth between several periods of history, between men throughout the years who have fallen under her seductive spell. Along the way there are Hand's usual lush fruit-metaphors and insect-metaphors and jewel-metaphors, and as always her prose is an intoxicating fever-dream of a read. We’ve been living through a renaissance of science fiction and fantasy short fiction in the past decade. New authors are entering the field through the monthly magazines both online and in print. Small presses are also producing excellent work: Small Beer Press, Night Shade Books, and Golden Gryphon among them. 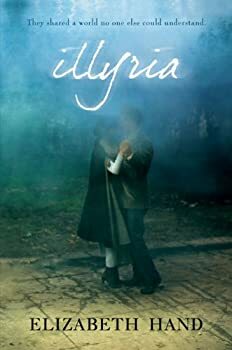 It hardly feels right to class Elizabeth Hand’s Illyria as fantasy, and yet it won the World Fantasy Award for best novella in 2008, and who am I to argue? There are only a few very short scenes of a magical character spaced throughout this story and they are subtle, unexplained and un-commented upon. These moments linger in the reader’s mind, who is free to draw their own conclusions and find their own meaning. And yet despite the essentially non-magical nature of this story, Hand has managed to elevate the simple love of two young people to an enchanted status. Elizabeth Hand is one of my favorite writers, prose-wise, and I just love languidly relaxing into her style. 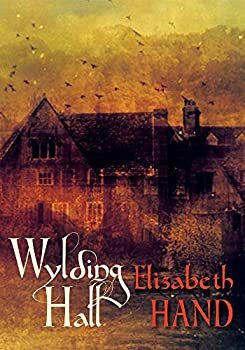 I feel like I’m always looking for the same kind of writing in other authors — and having been remiss in reading Hand for the last few years, it was nice to finally enjoy the real thing again with the short novel Wylding Hall. Her prose is actually more spare than usual; it has to be, as the entire story is told in dialogue. Hand makes it work, though, and Wylding Hall is as atmospheric as her earlier works. 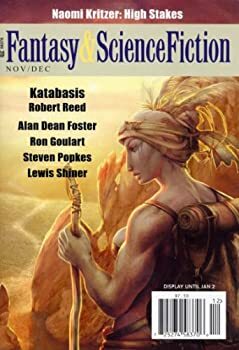 The November/December 2012 issue of Fantasy & Science Fiction is a mixed bag. Some of the fiction is excellent; some is not. 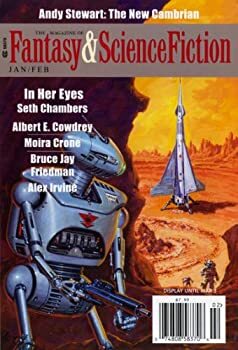 “In Her Eyes” by Seth Chambers is the novella in the January/February 2014 issue of The Magazine of Fantasy & Science Fiction, and it’s a doozy. It’s one of a number of stories and movies I’ve seen lately that address the question of what it is we love when we love someone. Do we love a mind? A body? Both together? Must they be unchanging? They can’t, really, can they, because we all age and grow; change is actually the only constant. And the question goes deeper, to the nature of the mind as an organic, chemical, electrical entity. Chambers examines all of these questions in a love story about a man and an unusual woman; I won’t say more so that you can discover her secrets for yourself (and she is very secretive). Short Fiction Monday: Here are a few of the short stories we read this week, all of which are free to read online. 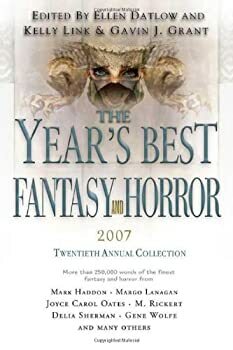 In many ways, The Year's Best Fantasy and Horror 2007 anthology is a difficult book to review. For one thing, to me and a lot of my reading/writing circle, this is easily the definitive bible when it comes to short stories of the genre. 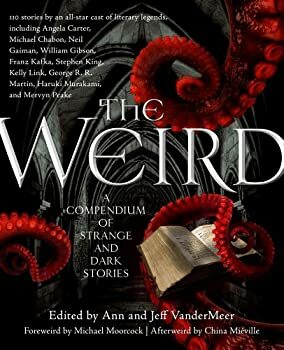 For another, many of the stories that are included in this collection have been featured in other anthologies as well, so there's an overlap in terms of stories featured. But I'll try and talk about what makes this anthology unique from other similar anthologies. For me, The Year's Best Fantasy and Horror 2008 has been a two-headed beast. On one hand, it's an eagerly anticipated book by people involved in the industry, usually for the summation at the front of the book and the honorable mentions list at the back. The various editors are quite thorough and detailed when it comes to this part. The other aspect is, of course, the story/poetry selection, which is what will likely attract the casual reader. So, how does it actually fare? Well, with regards to the first aspect, there are no disappointments. 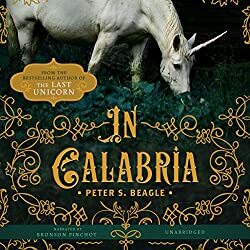 When covering the highlights of the previous year (and alas, the obituaries) and the various media (comics, movies, and music) in which either fantasy or horror plays a part, the book has it covered. The writing is functional and achieves what it sets out to do. 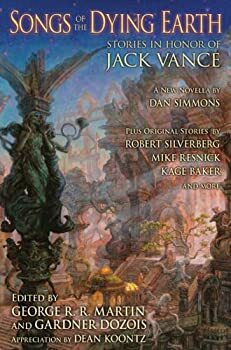 Songs of the Dying Earth: Stories in Honor of Jack Vance is the best anthology I’ve ever read. These stories will be enjoyed by any SFF reader, but they’ll be ten times more fun if you’ve read Jack Vance’s The Dying Earth, because they are all written in honor of that fantastic work. 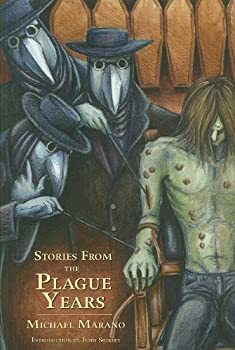 Each tale is written in the style of Vance, which is quite amusing in itself, and each takes place on the Dying Earth, that far-future wasteland in which natural selection means survival of the cleverest, nastiest, sneakiest, and most self-serving. 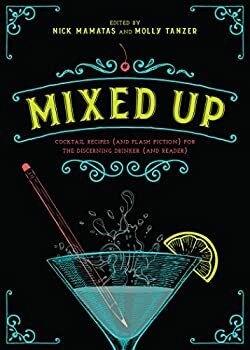 Mixed Up (2017) is an anthology of cocktail-themed flash fiction and cocktail recipes, edited by Nick Mamatas and Molly Tanzer. The stories, like the drink recipes, are grouped by type and theme. I thought the editors took the most liberal view of “flash” here, because I think some of these works might run to 1200 words or slightly over, and I think of flash as topping out at 1,000 words. I don’t think there is a hard and fast threshold, and certainly the spirit of flash fiction (see what I did there?) is met. Winterlong — (1990-1993) Publisher: Amid the ruins of a once great city, a girl and her beautiful long-lost twin brother are drawn to the seductive voice of a green-eyed boy whose name is Death. Together they must journey through a poisoned garden filled with children who kill and beasts that speak — all the while resisting the evil that compels them to join in a nightmare ritual of blood that will unleash the power of the ancients and signal the end of humanity. 12 Monkeys — (1995) Publisher: This thriller is based on the Universal Pictures film starring Bruce Willis, Brad Pitt and Madeline Stowe. In 2035 A.D., James Cole is doing time in an underground prison when he is offered a mission that could wipe out his sentence. A group of government scientists are sending him back to the past to discover the source of a deadly virus that killed the world as we knew it. Glimmering — (1997) Publisher: It is 1999. The Last Days, or some say, the First. The climate has warmed dramatically, the cities have imploded into riotous shards, and the sky is a glimmering array of reds and greens and golds. In fin de siecle New York, a millionaire publisher, a jaded rock star and the girl who, in her own way, loves them both are watching the waters rise as the cults begin the frenzies of the Night of the Thousand Years. 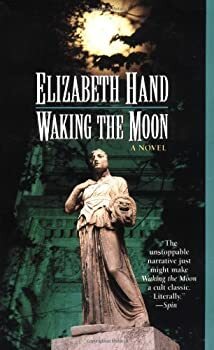 This breathtaking novel is Elizabeth Hand’s audacious attempt to capture in one explosive story both the unspoken dreams and the unspeakable nightmares of her generation. And she succeeds. Last Summer at Mars Hill — (1998) Publisher: A collection of short stories centers around Mars Hill — a place where a healing presence know as Them exists and where young, dubious Moony Rising learns an amazing and powerful secret surpassing all the love she has ever known. Black Light — (1999) Publisher: A creepy, fantastic mystery centred around the strange life of Anzeri Chakrulo — an enigmatic, charismatic cult director with a particular taste for the peculiar — and four teenagers on the cusp of adulthood: Lit Golding, Ali Fox and the Finn brothers. Bibliomancy — (2003) Publisher: From Elizabeth Hand, one of America’s leading literary fantasists, comes a collection of extraordinary novellas of damnation and dark revelation, epiphany and redemption. 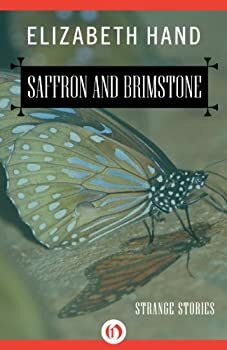 Written in the author’s characteristic poetic prose, and rich with the detail of lives traumatic yet luminously transformed, these stories form a remarkable tapestry interweaving the supernatural and the mundane. 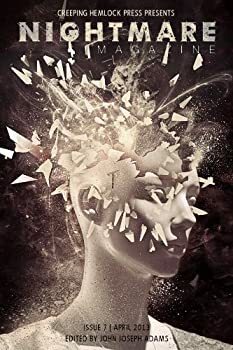 Bibliomancy won the World Fantasy Award and was nominated for a Bram Stoker Award by the Horror Writers of America, a Intenational Horror Guild Award, and appeared on Locus Magazine’s Year’s Best lists. The collection includes the first print appearance of the short novel “Chip Crockett’s Christmas Carol,” along with “The Least Trumps”, “Cleopatra Brimstone” and “Pavane for a Prince of the Air”. Introduction by Lucius Shephard and story notes by the author. Cover art by 19th century painter John Anster Fitzgerald. (see left) Both “Pavane for a Prince of the Air” and “Cleopatra Brimstone” have won International Horror Guild Awards, and “The Least Trumps” was on the shortlist for BEST AMERICAN SHORT STORIES 2003, edited by Walter Mosley. “Chip Crockett,” an homage to the late, legendary Joey Ramone, continues to wait for its chance to become an animnated Christmas Special. The Bride of Frankenstein — (2007) Publisher: Attempting to create life through dreadful experiments, Henry Frankenstein and Dr. Pretorius instead created unspeakable horror: two misshapen monsters, a brutish male and his female mate, stitched together from the bodies of cadavers. Crafted to be the monster’s bride — an undead Eve to an equally accursed Adam — the female creature was destroyed mere minutes after taking its first breath — or was it? This new novel by the critically acclaimed Elizabeth Hand reinterprets the memorable characters from Universal Picture’s classic 1935 film for a new generation of horror fans. Detailing the bride of Frankenstein’s secret history, from the shadows of forgotten laboratories to the streets of Weimar Germany, Hand creates a richly atmospheric tale of horror, mystery, and tragedy as chilling as the creature itself. Elizabeth Hand’s novels and short story collections include Mortal Love, Black Light, Bibliomancy and the cult classic Waking the Moon. A longtime contributor to the Washington Post Book World and the Village Voice Literary Supplement, she lives in Maine. Errantry: Strange Stories — (2012) Publisher: No one is innocent, no one unexamined in award-winner Elizabeth Hand’s new collection. From the summer isles to the mysterious people next door all the way to the odd guy one cubicle over, Hand teases apart the dark strangenesses of everyday life to show us the impossibilities, broken dreams, and improbable dreams that surely can never come true. Radiant Days — (2012) She is a painter. He is a poet. Their art bridges time. It is 1978. Merle is in her first year at the Corcoran School of Art, catapulted from her impoverished Appalachian upbringing into a sophisticated, dissipated art scene. It is also 1870. The teenage poet Arthur Rimbaud is on the verge of breaking through to the images and voice that will make his name. The meshed power of words and art thins the boundaries between the present and the past – and allows these two troubled, brilliant artists to enter each other’s worlds. Radiant Days is a peerless follow-up to Elizabeth Hand’s unforgettable, multiply starred Illyria. CLICK HERE FOR MORE BOOKS BY ELIZABETH HAND.